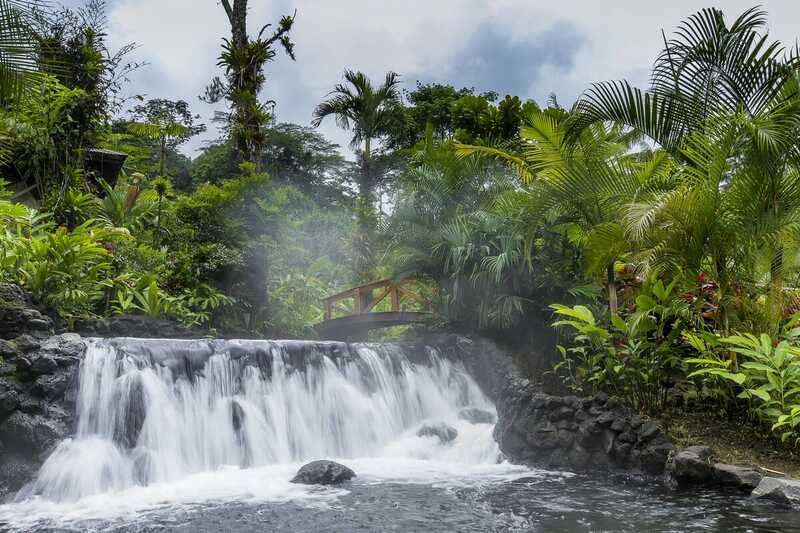 Tabacon Hot Springs in Arenal Volcano offers the ultimate Costa Rican hot springs and mineral bath experience. The impressive gardens at Tabacon Hot Springs are something glorious to behold. 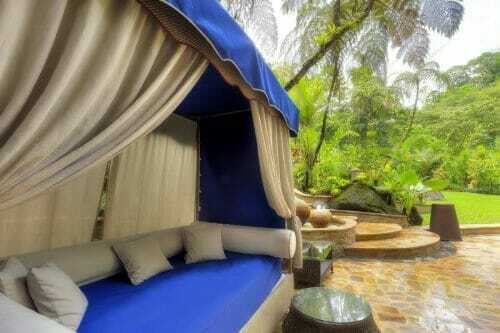 The foliage and fauna provide a beautiful natural backdrop to the hot, warm and cold pools. 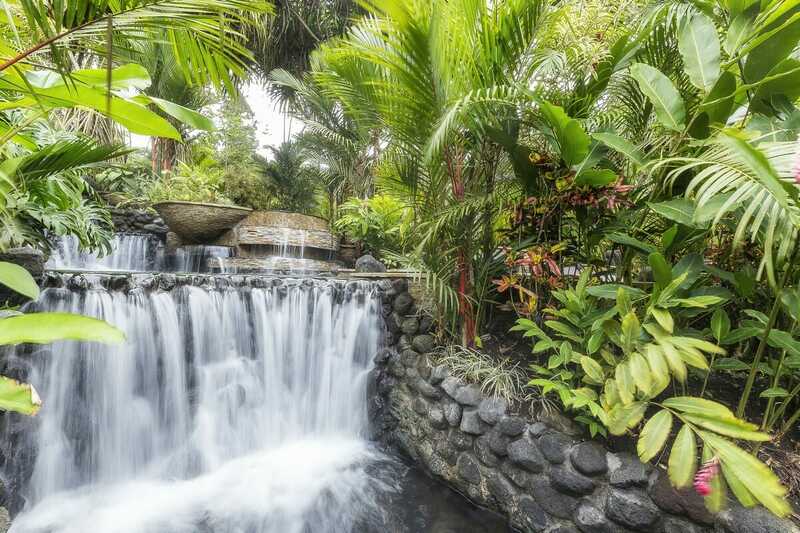 The Tabacon Grand Spa offers world-class treatments, but book ahead, because it is difficult to get same day reservations at this exquisite spa. 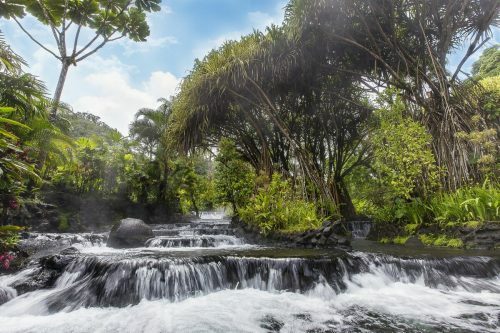 Costa Rica is known world-wide for the restorative properties of their thermal waters. The main pool has back-massaging waterfalls where guests can sit and release all of the tension from driving or high-adrenaline tours earlier in the day. The facilities at Tabacon Hot Springs include spacious restrooms and changing rooms, lockers, and a towel rental service. You can also enjoy incredibly fresh cocktails, juices, and other beverages at the Tabacon Hot Springs poolside bar.